The nucleus tractus solitarius (NTS) in the caudal medulla is a gateway for a variety of cardiopulmonary afferents important for homeostatic regulation and defense against airway and cardiovascular insults and is a key central target potentially mediating the response habituation to these inputs. Here, whole-cell and field population action potential recordings and infrared imaging in rat brainstem slices in vitro revealed a compartmental pain-pathway-like organization of capsaicin-facilitated vs. nocistatin-facilitated/nociceptin-suppressed neuronal clusters in an NTS region, which receives cardiopulmonary A- and C-fiber afferents with differing capsaicin sensitivities. All capsaicin-sensitive neurons and a fraction of nociceptin-sensitive neurons expressed N-methyl-d-aspartate (NMDA) receptor-dependent synaptic long-term depression (LTD) following afferent stimulation. All neurons also expressed activity-dependent decrease of excitability (intrinsic LTD), which converted to NMDA receptor-dependent intrinsic long-term potentiation after GABAA receptor blockade. 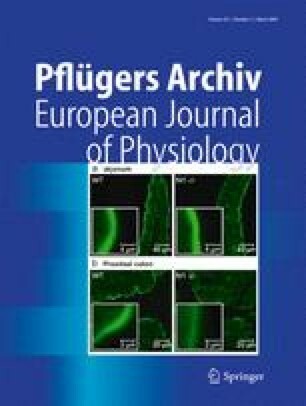 Thus, distinct intrinsic and synaptic LTD mechanisms in the NTS specific to the relay of A- or C-fiber afferents may underlie the response habituation to persistent afferents hyperactivity that are associated with varying physiologic challenges and cardiopulmonary derangements—including hypertension, chronic cough, asthmatic bronchoconstriction, sustained elevated lung volume in chronic obstructive pulmonary disease or in continuous positive-airway-pressure therapy for sleep apnea, metabolic acidosis, and prolonged exposure to hypoxia at high altitude. This work was supported by National Institutes of Health grants HL67966, HL72849, HL60064, and EB005460.